Gorgeous strands of translucent rainbow fluorite. They are known for their exciting range and blend of colors, including purple, violet, clear and green. 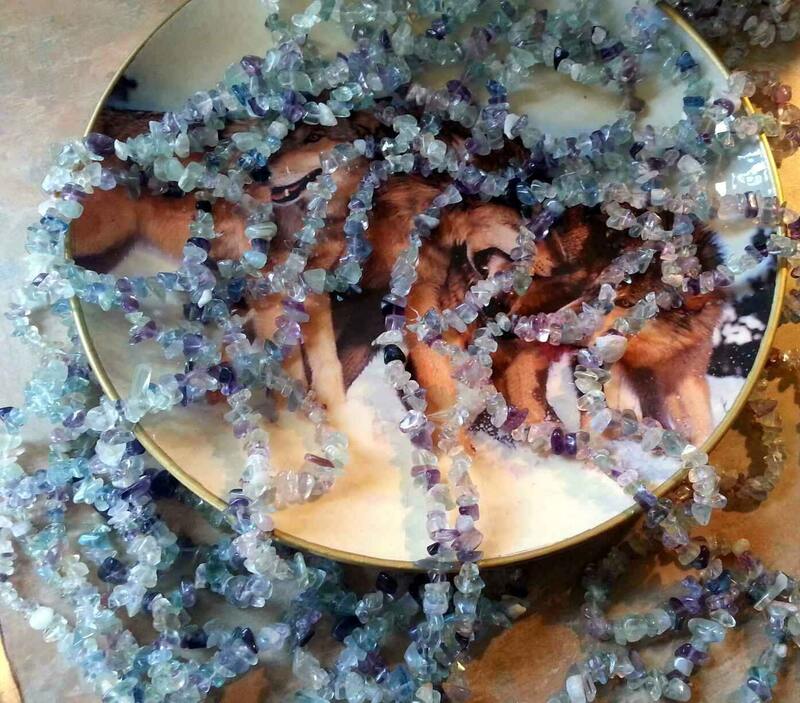 It is commonly believed that fluorite gemstones are used to bring order to chaos, stabilizing the mental, physical, emotional and spiritual systems. Chip beads are versatile design components and are great for multi-strand jewelry. 36 inch strand. Beautiful Leopardskin Jasper Bracelet "Purrrfectly Pretty"